In the United States, a physician assistant (PA) is an advanced practice clinician licensed to practice medicine with the supervision of a licensed physician. facilitating the referral of patients to the community's health and social services agencies when appropriate. Download Instructions for Application - updated November 14, 2016. A. Licenses issued to physician assistants shall be renewed annually on a date determined by the State Board of Medical Licensure and Supervision. Each application for renewal shall document that the physician assistant has earned at least twenty (20) hours of continuing medical education during the preceding calendar year. 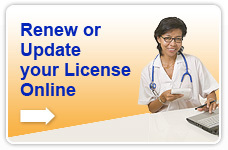 (a) Applicants initially licensed as a physician assistant will be exempt from reporting Continuing Medical Education (CME) credits until one year after licensure, thereafter each applicant for renewal must provide evidence that he or she has successfully earned at least twenty (20) hours of Category I CME hours during the preceding calendar year. (b) At least one (1) hour of Category I CME shall be earned each calendar year concerning the topic of substance abuse. 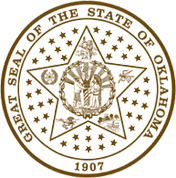 (c) The CME hours shall be logged and reported to the Board on an annual basis by the Oklahoma Academy of Physician Assistants, Inc. The applicant shall bear the cost of this requirement. (d) Any applicant for renewal who does not meet the requirements for continuing education by December 31 of the previous calendar year may not renew until deficient hours are obtained and verified. Additionally, within the next calendar year the licensee will be required to obtain forty (40) hours of Category I CME. Failure to meet these additional requirements will result in further disciplinary action.